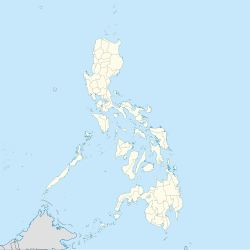 Luna, officially the Municipality of Luna, (Ilokano: Ili ti Luna; Tagalog: Bayan ng Luna), is a 2nd class municipality in the province of Apayao, Philippines. According to the 2015 census, it has a population of 19,063 people. Its former name was Macatel, changed to Luna by the town's founding father, the Ilocano explorer Antonino Barroga from Dingras, Ilocos Norte. Luna is located at 18°20′N 121°21′E﻿ / ﻿18.33°N 121.35°E﻿ / 18.33; 121.35. According to the Philippine Statistics Authority, the municipality has a land area of 606.04 square kilometres (233.99 sq mi)  constituting 13.73% of the 4,413.35-square-kilometre- (1,704.00 sq mi) total area of Apayao. Luna is politically subdivided into 22 barangays. In the 2015 census, Luna had a population of 19,063. The population density was 31 inhabitants per square kilometre (80/sq mi). ^ a b "Province: Apayao". PSGC Interactive. Quezon City, Philippines: Philippine Statistics Authority. Retrieved 12 November 2016. ^ a b c d e Census of Population (2015). "Cordillera Administrative Region (CAR)". Total Population by Province, City, Municipality and Barangay. PSA. Retrieved 20 June 2016. ^ Belarde, Sonia; Ronald Ocampo (2010-02-05). "Municipal Background of Luna, The Show Window of Apayao". d' lunanians: The Official Site of the Municipality of Luna Apayao. Retrieved 11 August 2017. ^ "Municipal: Luna, Apayao". PSGC Interactive. Quezon City, Philippines: Philippine Statistics Authority. Retrieved 8 January 2016. ^ a b Census of Population and Housing (2010). "Cordillera Administrative Region (CAR)". Total Population by Province, City, Municipality and Barangay. NSO. Retrieved 29 June 2016. ^ "Province of Apayao". Municipality Population Data. Local Water Utilities Administration Research Division. Retrieved 17 December 2016. Wikimedia Commons has media related to Luna, Apayao.